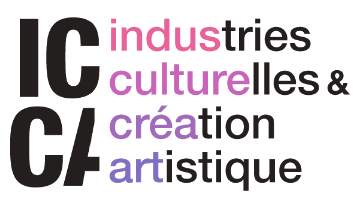 The Labex ICCA (an interdisciplinary research center on the arts, culture and digital markets and their practices) will host on November 14th and 15th the 2nd international multidisciplinary Workshop on cultural industries and digital platforms. This Workshop intends to provide a forum that allows the development and the dissemination of researches on a single object (cultural industries and platforms, as new tools for distribution and promotion of cultural contents) but from different scientific fields (economics, communication sciences, sociology, law, education sciences, …) or different geographic or socio-economic situations. This workshop aims at favouring discussions and connections between various scientific fields and various cultural industries. Professionals and institutional representatives of the cultural sector will also be invited to compare their experience with the researches presented during the workshop. The organisation of these platforms, the role played in them by long-established players of the industries of art, culture or communication and the role of “new entrants” from the digital world, and, in return, the impact on the content sectors. The emergence of a new class of intermediaries – “infomediaries” – that provide consultancy, information and evaluation services that were previously usually provided by players in distribution/dissemination (bookshops, record shops, specialist supermarkets/superstores) or information professionals (media). The proposed tools and resources, which range from recommendation algorithms to discussion forums between consumers, may become both tools for vertical differentiation for players in distribution/dissemination who propose them, and tools that tend to concentrate or, on the contrary, diversify the consumption of arts/cultural works. The development of business models with a growing tendency to “servicisation” of arts/cultural and creative industries (access to cultural works or works of art via an online service that replaces sale in the form of a physical medium/object or a digital file). English will be the communication language of this workshop. Propositions must be sent as an email attachment (pdf, word) to labex.icca@univ-paris13.fr. Deadline for submitting detailed abstracts or full-papers is July 30, 2016. Authors will be notified regarding acceptance or rejection by September 15, 2016. There is no submission or registration fee. Monday evening dinner, Tuesday lunch and accommodation expenses (up to two nights) of conference participants who present a paper will be covered by the Labex ICCA. Travel expenses will not be covered.